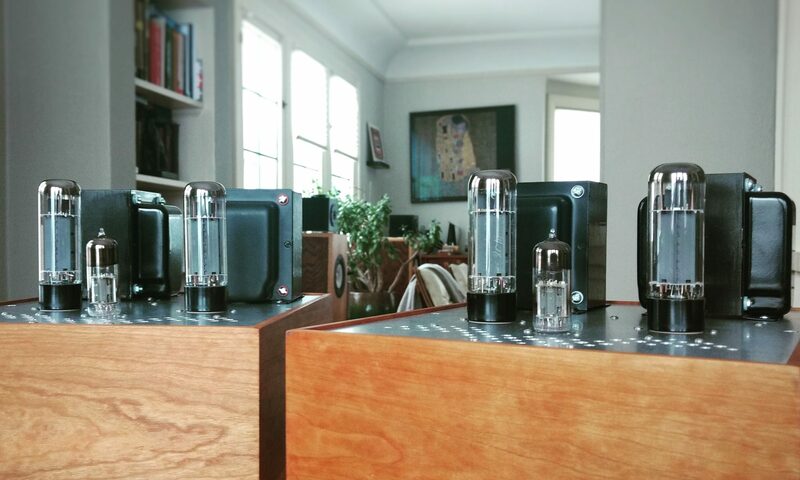 Letters to WTF: All-tube MC phono preamp? Why not build an all-tube MC phono preamp? The more tubes used, the more very tiny sources of noise get introduced. Although the noises are tiny, they are amplified by the preamp, just like the signal. So the more gain required to get the signal to a desired listening level, the closer the tiny noises get to being audible as well. Several stages of tubes for a very large amount of gain can lead to unwanted noise for this reason (guitar amps and phono preamps are both good examples of this). The step up transformer cannot practically do more than about 20db-25db of gain without having some undesired consequences, but they don’t have ‘moving parts’ and are very good at rejecting noise/hum. The 25db of gain from a transformer is enough to lower the tube gain needed from 3000x (70db) to 175x (45db), meaning any noise from the tubes is amplified much less. It’s kind of like giving the tube part of the preamp a head start in the race against noise. So that’s why I haven’t built a MC phono preamplifier. If I were to build one, I’d most likely add step up transformers to a MM preamp like the El Matematico or similar. To me, this is the most practical approach with the highest likelihood of success. **At the risk of muddying the waters, phono preamps actually need about 20db more than the numbers mentioned here but this is then attenuated by the RIAA correction filter to result in ~40db or ~60db net gain, MM and MC respectively.